Fashion capitals pride themselves for being influencers in the industry thus expectations from their players are high. These agencies are up for the challenge and have proven to be an indispensable source of talents. Let’s see what’s a day in the busy life inside UP Models in Paris, Boss Models in Johannesburg, and Francina Models in Barcelona. Join Up Models’ Director Laurent Pouteaux during the Paris casting for Kuwait Fashion Week. Model hopefuls include 20 yr old Lithuanian Model, Monika Bickauskaite, and Czech Republic’s Face of Elle Magazine winner Barbora Lisztwanova. UP Models is part of the DMG Group (Daniele Models Group) who also manages DMA Models and DMA Productions. 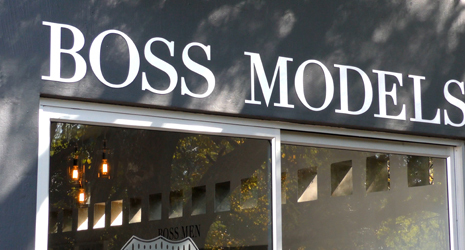 Boss Models was established in Cape Town, South Africa in 1995 and was the continent’s first international agency. Now in its 21st year, Boss Models is proudly the country’s most recognized agency brand with offices in three South African cities including Johannesburg. The Agency is home to some of the industry’s most exciting debuts, and with it’s clear focus and support on scouting, development, placement and management, Boss has found its niche as the go-to agency for models looking for long term career success in a global industry, as well as industry scouts looking for fashion’s next big thing. Established in 1983 by former Spanish top model Francina Diaz, Francina Models is one of the best and most prestigious agencies in Spain, representing some of the fashion industry's most successful models. In January 2009, Mireia Verdú became the new owner of Francina and developed their New Faces Division, creating a yearly Model Contest “Francina New Generation”. 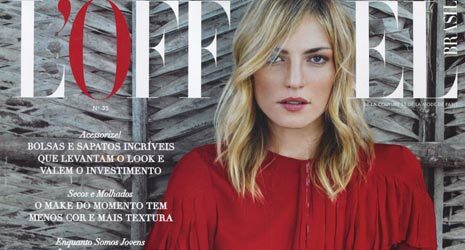 Francina has played a key role in discovering and building many international models such as Judit Masco (Sports Illustrated cover girl), Mar Saura, Robyn Lawley, and Fernanda Tavares.